Our All Tires section has a wide selection to suit your needs. MotoSport has what you need for Tire Combos! Look here to see our selection from top brands. 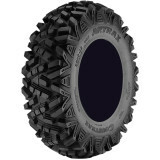 MotoSport has what you need for Front Tires! Look here to see our selection from top brands. Find what you're looking for in our Rear Tires section! Our Dual Sport-DOT Tires section has a wide selection to suit your needs. The Inner Tubes section has just what you're looking for! Our Tire Studs section has a wide selection to suit your needs. Tires affect just about every aspect to dirt bike riding. In fact, it's not uncommon for a rider to change their tires between Motos or adjust the pressure, even by half a pound. The dirt bike tire is the lifeline between the bike and the ground and often means the difference between washing out on a muddy turn or speeding past a competitor. Tires impact comfort, performance and the overall feel of the bike. Replacing dirt bike tires is a routine maintenance requirement but grabbing a new set off the shelf is far from the best approach. In addition to our wide selection of dirt bike tires, we carry wheels, inner tubes, flat repair kits and all the tools needed to fix or replace damaged or worn tires. Time for a new set? That's really up to you. Some riders try and get the most out of their tires while others like to get a fresh pair once the lugs show any sign of rounding. Whatever keeps you rolling we have the dirt bike tires you need to stay upright. 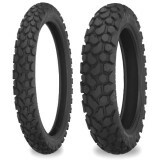 MotoSport stocks an extensive catalog of dirt bike tires. What else would you expect from the leader in parts and supplies? We feature 25 tire combos, 55 front tires, 64 rear tires and 33 Dual-Sport DOT tires. We make it easy for you to buy the correct front and rear tires for your bike in the right size. If you need help call our toll free line 866-677-7338 or check out our Dirt Bike Tire Buying Guide.